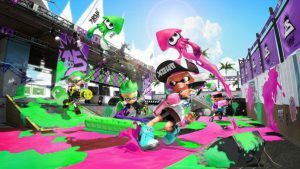 Ink The Bay is a Splatoon 2 event being held in the eSports Arena Oakland. Splatoon 2 is the follow up to the widely successful game of the same name. With Metacritic awarding the sequel 83/100, the third person shooter is particularly successful in Japan, where it is the top selling switch game, and even worldwide it remains the fourth best selling game for the Nintendo platform. The eSports arena is a 16,000 square foot facility has provisions for both competitive games and friendlies, and everyone is guaranteed a play beyond their pool as competitors will be siphoned either into the Top Cut or the Silver Bracket, games are best of five, and when the final is reached it’s best of seven. The venue fee is only $15 or an active eSports Arena Elite membership, with another $5 payment to enter the tournament. How could we talk about eSports events we’re excited for without including a trip to the entertainment capital of the world? The Monday Mash event is being held at the Luxor Hotel & Casino, twice the size of the Esports arena in Oakland, with a multi-level arena available. PlayerUnknown’s Battlegrounds has been unbelievably successful since its breakthrough onto the world stage in December 2017, with its release across Android, iOS, Xbox and Microsoft windows, with a version for Playstation 4 currently in the works. 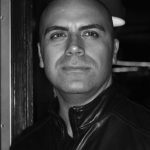 Upon its release, it was critically acclaimed, winning best multiplayer game in 2017 and nominated for Best Ongoing Game and Game of the year at the Game Awards 2017. To date, the game has won a total of 8 different awards and has been nominated for a further 19 nominations. BlizzCon is the enormous celebration of everything Blizzard Entertainment has to offer. 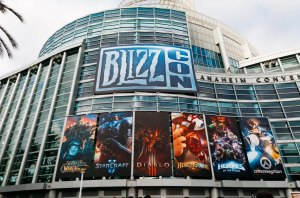 This year will be the 12th Annual BlizzCon event, and is not to be missed. The event is going to be packed with eSports competitions, with Hearthstone, WOW, Starcraft 2 and Overwatch tournaments being battled out across the week to reach the crescendo of finals which will be played out across November 2nd-3rd. There will be a number of other competitions for the community taking place across the event weekend as well, for cosplay, art and also a movie contest. Blizzard will also be hosting forums and exhibitions, showcasing what’s new, and what we can expect to see from Diablo, Overwatch and more in the coming months. While this weekend is very eSports focused with some of the best competitions for the year on display, we cannot wait to see what else Blizzard has to offer. TwitchCon is looking like it will be another smash hit this year. The weekend event is entirely focused around the Twitch community, bringing in the biggest names in streaming and eSports. 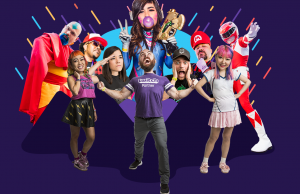 There is going to be a huge number of activities on offer at TwitchCon, including a Cosplay contest, eSports stage, merchandise, expos and, most importantly, meet and greets. Large numbers of streamers will be attending the event, giving you an opportunity to meet everyone and anyone from the Twitch world. The entire weekend will be topped off by the famous Twitch party, so expect some surprise headline acts to be performing. One thing you can be sure about if you attend TwitchCon is that you will not be short of things to do, and trying to fit it all into 3 days is going to be an adventure. Nighthawk Pro Gaming will be attending all throughout the event this year, helping streamers get the best out of their networking connections. Without a doubt this is the biggest event on our list. The two day festival extravaganza holds something of interest for absolutely everyone, from bring your own computer competitions to LAN parties and competitive tournaments on the playing side, live music (headlined last year by Waka Flocka! ), meet-and-greets, and cosplay competitions, the Hi-Rez Expo promises to be a weekend to remember. There’s serious money on the line too for those who want to try their hands at the tournaments, with over $1,000,000 up for grabs in the Smite World Championships and console wars!